Light for Babies and New Parents | BioBrite, Inc.
Baby and sleep. Sometimes it seems like they’re like oil and water. Getting to sleep and staying asleep are the sometimes unobtainable ambitions of every parent. Photo by Xlibber via Flickr. Every parent struggles with a fussy child at bedtime, but it’s healthiest to encourage children to keep to a sleep routine. Enter the EZ Wake — a small, playful green unit with a rounded globe. Smaller in scale and more vertical in appearance, the EZ Wake features a set 30-minute sunrise cycle, back-up beeper, and simple, four-button display. The globe is made of unbreakable, polycarbonate plastic. It features the same warm wake-up glow as the larger clocks. Valerie in Philadelphia shared in a review what a lifesaver the BioBrite Sunrise clock has been. The clock ended bedtime struggles and 5 a.m. wakings for her daughter, starting from a very young age. Beginning the clock’s 30-minute fading sundown routine at bedtime, she would read a bedtime story. At the end of the book, her daughter was ready to go into her crib. Using the clock’s 30-minute fade up sunrise routine successfully delayed wake up times that had been a punishing 5 a.m.
Valerie even found that she could use the clock to create a different sleep schedule on a given day. If she wanted her daughter to wake at a different time than usual, she could adjust the clock. Her daughter would wake earlier or later if the clock told her to. Any parent who’s dealt with a chronically early waking child, or daily bedtime struggles, or the transition to daylight savings time, can envision the value of the BioBrite Sunrise Clock. It’s the key to changing the chemistry of baby and sleep so the two do mix. And the best part is it’s not chemical: the sunrise clock is a natural remedy, completely safe for your baby or young child. 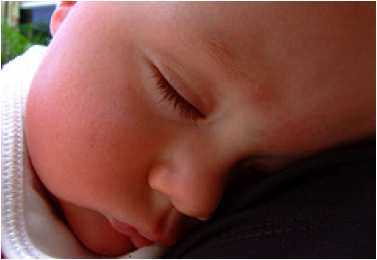 There’s evidence that improving sleep patterns from an early age will pay off for years to come. 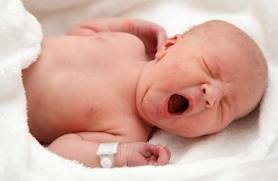 Researchers from Cincinnati Children’s Hospital Medical Center in Ohio reported in the journal Pediatrics in 2012 that 21% of children with a sleep problem at six months of age continued to have issues later on, compared with only 6% of children without sleep problems at six months. If you fix it now, you’ll be glad later. And so will your child as she knows the benefits of a great night’s sleep throughout her life. Check out the review of our SunRise EZ Wake Junior alarm clock on The Classic Baby Store.com! We were chosen as a top-quality, luxe baby product to be featured in their exclusive boutique section. Have an EZ Wake JR? Leave a comment. Don’t have one but want one? We now carry the EZ Wake and the SunRise traveler, both sunrise clocks that are made of unbreakable plastic and sized for portability and ease of use. Contact us or purchase online via our site www.BioBrite.com.